Firstly I would like to thank the wonderful ravenstag for this nomination. I’m rather chuffed. So part of this little diddy is to give my wonderful readers 7 facts about myself. So here it goes. I’m married to a vocal coach so music is constant in our day to day lives. When I’m not scanning items at the supermarket I work at, I’m doing admin work for my husband. I take care of student payments, timetables etc. I’m a christian. I gave my life to Christ on my 12th birthday. I honestly believe that my faith has helped me the most to overcome my aspie mountains. I want to write a children’s book one day. My mum will be the illustrator. That will be a fun project. I can imitate a baby’s cry. I need to be careful not to show off such a talent around lactating women. I dream of being the aspie Jenna Marbles. But more on the lines of vlogging/ranting vids rather than challenges or skits. I would swear a whole lot less than Jenna does, but wear just as much makeup. I’m struggling for ideas though. Plus videos require a lot more effort than blogging. But more vids will happen I promise – that is if you even want them. I play the flute but I’m pretty rusty. Don’t you dare start with the American Pie jokes! Just no. One day I’ll get bass lessons, then I’ll finally be cool. 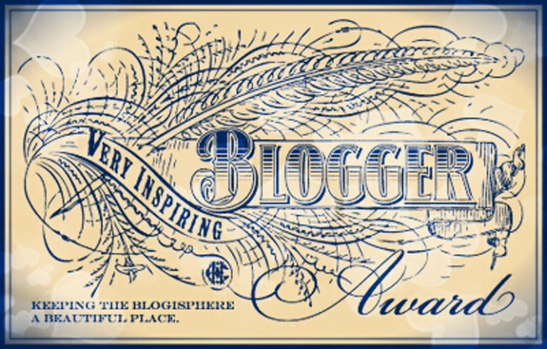 Now it’s time to nominate blogs that I’m into. Check them out. So there you go kids. Thank you kindly for sharing with your facts and including me on your list. Hi Kate! Just a heads up…I mention and thank you in my latest blog post being published some time today. It is regarding the award nomination!